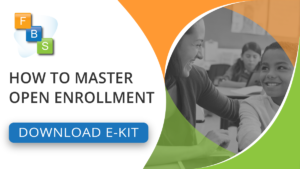 The skyrocketing cost of health insurance has forced millions of Americans to seek financial relief by purchasing high deductible health insurance plans (HDHP). HDHP policies typically require you to pay above average deductible costs for health insurance procedures that range from annual check-ups to major surgeries. The appeal of HDHP policies includes lower monthly health insurance premiums. To address concerns about funding health care procedures that involve high deductibles, the United States congress passed a comprehensive health care law that includes the implementation of Health Savings Accounts (HSA). A health savings account combines high deductible health insurance plans with a health care savings account that provides several benefits. Health care consumers put aside money in a separate bank account each month to help defray the costs of high health insurance deductibles. After paying the deductible the policyholder’s health care insurance plan kicks in to pay off the remainder of the health care bill. The primary reason for the creation of health savings account involved the rapidly rising costs of providing health care. Authors of the congressional bill that mandated health savings accounts believed the accounts force health care consumers to spend their health care money frugally, yet still receive the quality care they need. Health savings accounts act as a health care safety net for Americans that don’t plan for the inevitable health care problems. Most Americans save for vacations or down payments on new cars, but they never save money to fine tune the body. At the heart of health care savings accounts lies the timeless adage of “save for a rainy day.” Health care accounts offer you several more benefits. Unlike company sponsored health insurance plans, health care consumers fully control how much money they set aside for health care costs. Health care becomes another expense in the family budget that can change monthly. This gives you the flexibility to adapt to unexpected expenses in other budget areas. Health care consumers also control how their health care money is spent. As with other types of shopping, health care cost control forces consumers to shop around for the best deals and still receive high quality health care products and services. Even if your employer contributes to your HSA, you own the account and have full control of it, even if you change employers. Congress has created numerous laws that allow consumers to create accounts that mitigate the cost of doing business. However, a health savings account is one of the few accounts that you don’t have to drain on the last day of every year. Any money left in your health savings account rolls over to the next year, which gives you the flexibility to schedule physician visits and plan for more expensive medical procedures. Health savings account owners that enjoy years of perfect health can see their health savings account accumulate enough cash to finance major surgeries. Moreover, health savings accounts turn into individual retirement accounts (IRA) the day that you reach the legally accepted retirement age. 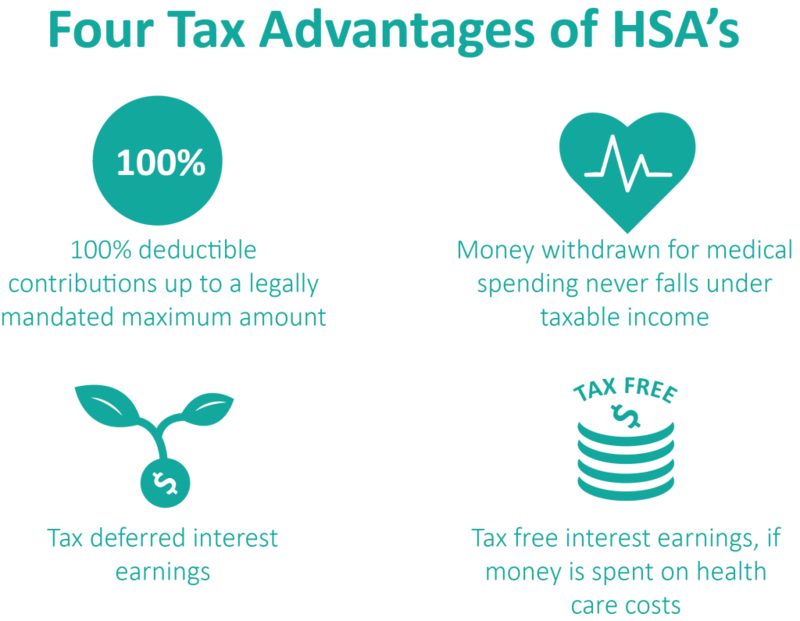 The most popular benefit of an HSA boils down to the time-honored American tradition of avoiding taxes. You don’t pay taxes on the money contributed to an HSA. Health savings account policyholders deduct contributions on their federal income tax forms and employer contributions remain tax-free. Any interest earned in a health savings account also stays out of the reach of the IRS. The rub on the tax benefits of a health savings account is policyholders must spend HSA funds on health care expenses. Health savings account money spent on non-health care costs receives an income tax hit, plus a penalty of 20 percent. To enjoy the benefits of a health savings account, consumers must link the HSA with a high deductible health insurance plan that costs less than other health insurance plans. Health care consumers should monitor the congressionally mandated minimum annual deductible payments, which for 2015 sat at $1,300 for an individual and $2,600 for families of any size. As with every other health care option, health savings accounts come with a risk-reward proposition. Health care consumers must carefully consider budget constraints and the expected health care costs to rise over the course of a calendar year. If you enjoy vibrant health and want to save for the proverbial health care rainy day, then choosing a health savings account represents a viable health care expense option. On the other hand, health care consumers that expect to undergo major medical procedures within the next few years should search for policies that include small deductibles. Small deductible health care insurance plans eliminate the option of opening a health savings account. “Health savings accounts can be a useful tool to help with the cost of deductibles, co-payments, and coinsurance if you purchased a high-deductible plan,” says David Cusano, senior research fellow at Georgetown University’s Center on Health Insurance Reforms. 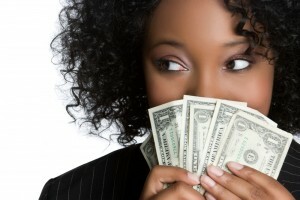 Remember that qualifying for a health savings account changes from year to year. For 2016, the minimum annual deductibles for a HDHP are $1300 for an individual and $2600 for a family while the maximum annual out-of-pocket expenses can be no more than $6,550 for an individual and $13,100 for a family. The federal government also sets a limit of $3,350 for Individual health care savings account contributions and $6750 for family health care savings account contributions. Americans older than 55 years of age have the option to add $1,000 to their annual health savings account contributions. Next Benefits A-Z: What is Accident Insurance?